If your school has Spanish heritage students, ELLs, or a bilingual program, elevar las ciencias offers you the opportunity to teach science in Spanish. elevar las ciencias is a complete science program in Spanish that corresponds with Elevate Science. 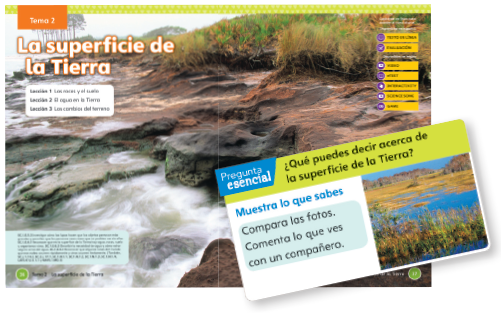 Spanish resources for Grades K-5 include a parallel student edition, leveled readers, comprehensive teacher resources, and a full digital program. Perfect for dual-language classrooms. Download a brochure to learn more. Phenomena-based inquiry develops science and engineering ideas as students solve problems and design solutions. Observable events foster communication and evidence-based argumentation. The student-centered pedagogy promotes hands-on, active learning. Guided and open inquiry projects encourage scientific reasoning. Students construct, model, design, and create with STEM-centric activities. Support Spanish literacy, dual-language, and bilingual readers at all proficiency levels. 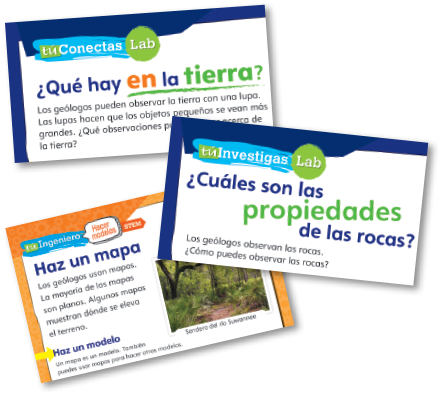 Leveled readers in Spanish help emerging readers develop science concepts in the target language. 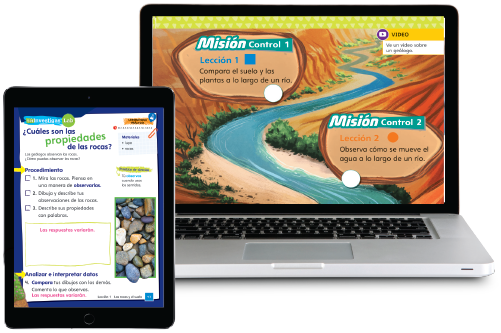 Spanish resources on PearsonRealize.com include a Spanish eText for students, an online Teacher’s Guide, Laboratory Student Worksheets, and next-gen assessments. Add Spanish resources from OpenEd or easily integrate with Google® Classroom.